What could ever be more relaxing and delightful than spending a night on the beach… barefoot, wet hair, sun-kissed skin, summer wind, friends and lovers, drinks and a sky full of stars? We know. All these in the company of a series of great films! 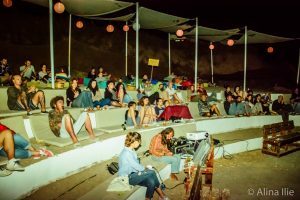 We offer you the wonderful experience of mixing the best of summer with cinema, aiming to make you FEEL. Literally. The Black Sea Film Festival is an annual event which awards new inspiring, motivating talent. Designed to acknowledge the creative contributions of both young and elder artists, beginners or with a long way paved behind, the festival benefits the community socially, educationally and economically – wise. The Festival will showcase innovative independent cinema from around the world, taking place along the Romanian Black Sea coast. The second edition will be held in Vama Veche, a charismatic place known for its young, vibrating and artistic spirit. On our second edition we are accepting a variety of short films: narrative, animation, experimental, student, documentary, music video, human rights and also feature films: narrative, documentary, animation. The film production can be made within the last ten years. 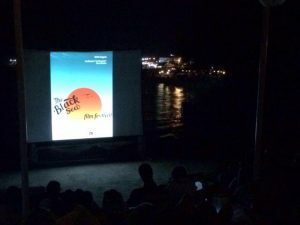 Wonderful seaside movie nights are expecting you to enjoy the summer breeze and watch films under millions of stars! It’s all about the feels. It’s all about the cineFEELS!